A busy month – so much so that I haven’t had time to write this until the first week in June! But busy in a good way, because May was filled with gardening and holidays. As soon as the weather picked up, I was out in my garden tidying up, and planting out the pots I always seem to accumulate. The pressure is on this year because I am hoping to have a visit from a photographer in a few weeks time. 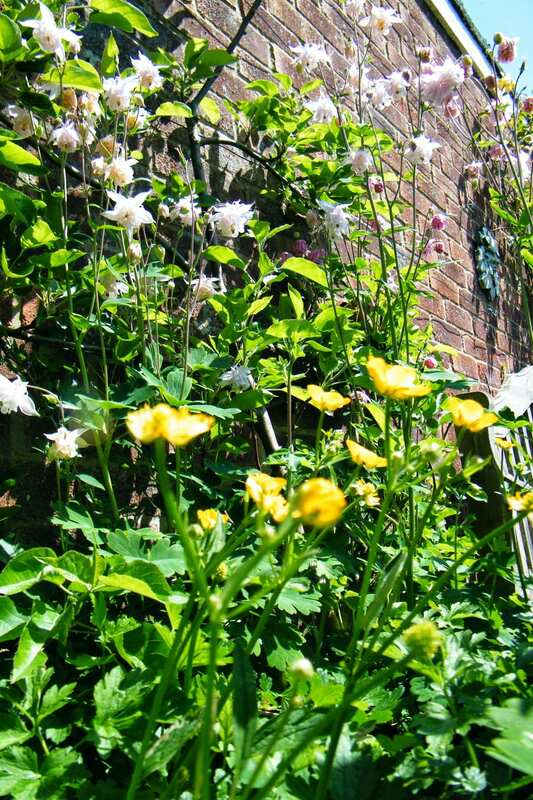 I love my garden to look full and abundant, but there is the concern that other people might just find it messy! We have just got back from a lovely family holiday in Cyprus. Here is one of my holiday photos – sea lavender and wild oats on a beach on the West coast. A hobby of mine is photographing wildflowers, so had a whale of a time there. Being the last week in May, it was starting to look a bit dry, but there was still a plethora of photogenic flora! I am dreaming of a botany trip back there in early March when things are greener. Watch out for a blog post about the flowers I spotted while I was away. Before I went on holiday, I couldn’t resist picking some bluebells, clematis montana and Mexican orange flowers from my garden to dry. I just snipped off the heads and left them in a basket in the airing cupboard for a week for the warm air to circulate round them while I was out of the house. But my piece de resistance in terms of dried flowers is this tree peony which I picked and left to dry flat (see the plant in flower in my top photo). The flower head is 14cm across – that’s nearly 6 inches! 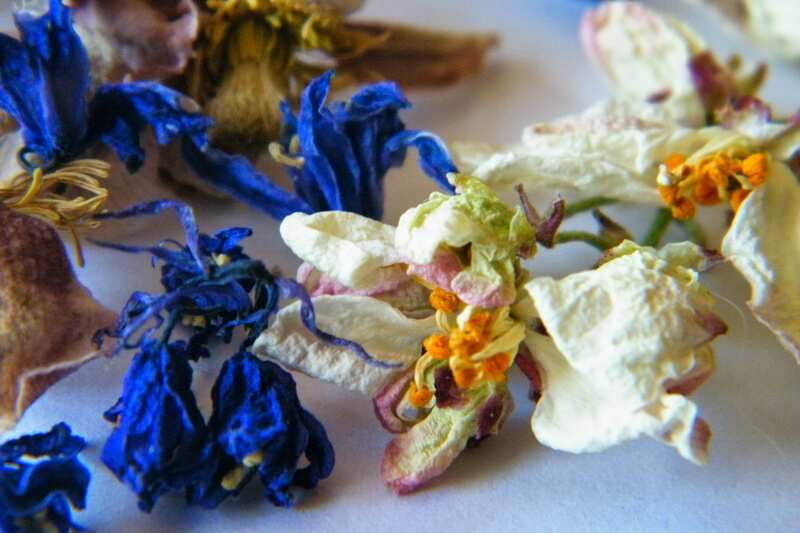 On the subject of dried flowers – do check out my article about Modern Dried Flowers as printed in Make and Craft magazine this month. A few weeks ago, I went for a long weekend in Paris with my friend Mercy who works for Plant Heritage. We took ourselves off to the Courson flower show. 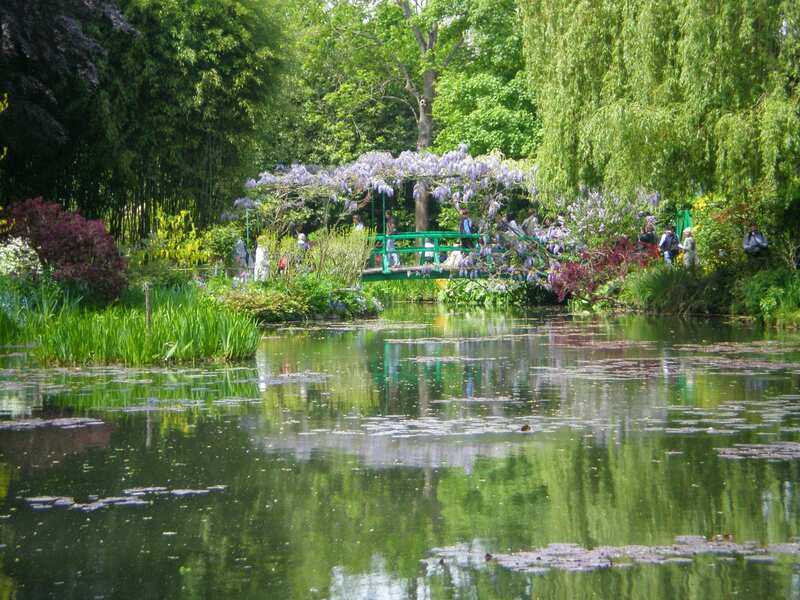 We also visited Monet’s garden – it was a glorious sunny day and the tulips and irises were out. I’ll be writing a post about that soon as well!